Based on Opera’s Presto 2.5 rendering engine, Opera 10.5 adds CSS3 Transitions and 2D Transforms to the long list of CSS3 properties already supported by the browser as well as increased support for CSS3 Backgrounds and Borders. As CSS3 Transisitions and 2D Transforms are still at the working draft stage of development at present you’ll need to use the ‘-o-’ prefix in your style sheets for the time being, you can read more on Opera’s support for Transitions and Transforms at the following link. Opera 10.5 also offers increased support for CSS3 Backgrounds and Borders which become a Candidate Recommendation earlier this month. Opera is the first browser to offer support for Backgrounds and Borders without the need for a vendor prefix, with Firefox and Safari still requiring ‘-moz’ and ‘-webkit’ accordingly. 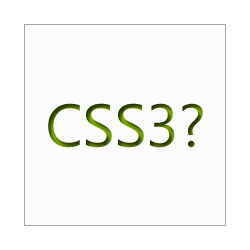 You can read more on support for CSS3 Backgrounds and Borders on the Opera website. Presto 2.5 also brings increased support for HTML5 including features such as persistent storage. To try it out, you can download the latest Labs build for Windows or Mac OS X but bear in mind that Opera describes this as an ‘unstable development build’ and has many known issues, you can read more on the Opera website. cool. Great post. I think its good opera is starting to enter the new world.